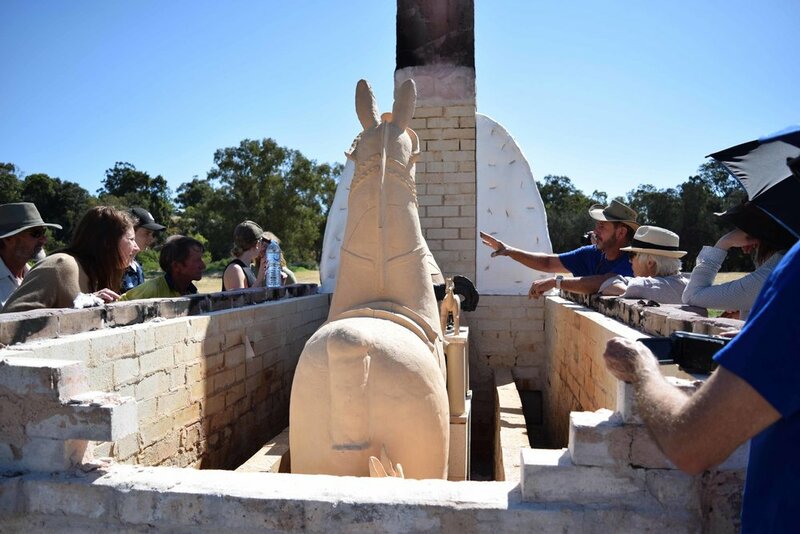 There has been nothing small about the Habits of Horses Project and the Whopping Great Kiln Reveal was no exception! 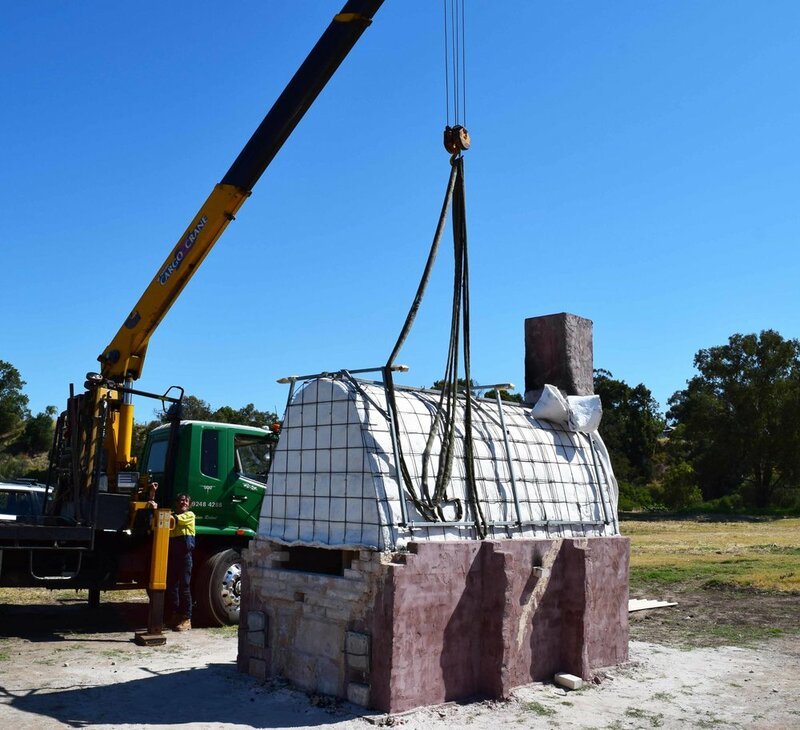 Requiring a Hiab and truck to lift the ceramic fibre roof, volunteers eagerly awaited the first look at the results of the firing. The two horses stood proudly over the smaller Ganesha sculptures and community horses. One horse had suffered cracking throughout and will be repurposed into a smaller piece, all other sculptures were taken to their new homes to be loved by the creators. The kiln worked beautifully thanks to the hard work of kiln builders Bernard Kerr, Steven McKoy, Lee Woodcock, Jude van der Merwe, Jenny Kerr, Selva Marimuthu and a huge team of helpers. Midland Junction Arts Centre now hosts the beautiful small horse and larger horse created by Kasirajan Subbaiah.